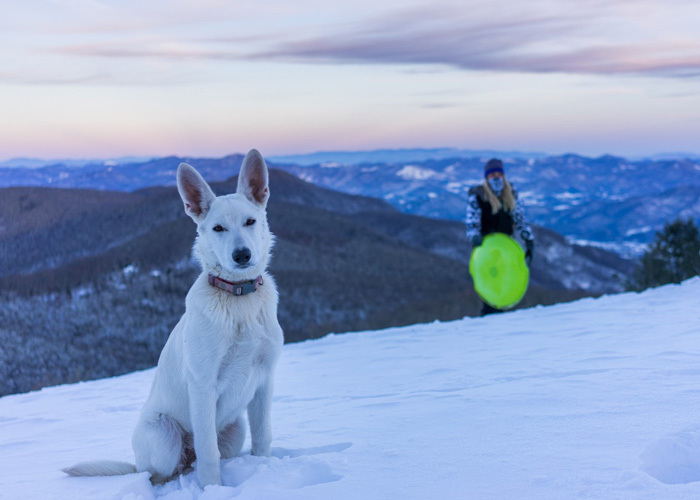 The skiing, hiking, entertainment, and comfortable accommodations of the Great Smoky Mountains in Haywood County, North Carolina offer unique and exciting ways for all to enjoy winter, both out in the snow and inside where it’s warm. The average elevation around Haywood County, North Carolina—which includes the mountain towns of Maggie Valley, Waynesville, Lake Junaluska, Canton, and Clyde—is 3,600 feet, the highest in the East. Haywood County lays claim to about 50 miles of the scenic Blue Ridge Parkway and a unique corner of Great Smoky Mountains National Park, and is filled with history, diverse hiking trails, and welcoming places to stay and eat. 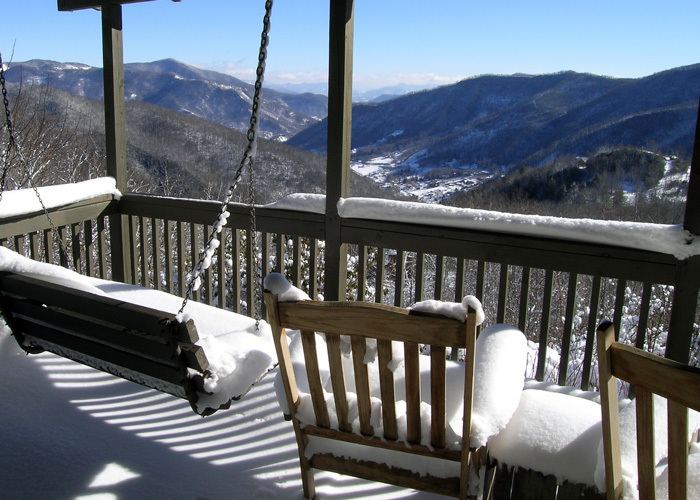 While these attributes make Haywood County a year-round destination, the area takes on an exceptionally unique feel during the winter months, offering the experiences of a far-flung snowy mountain getaway while being close to home. Good roads—light on traffic and heavy on scenery—make the North Carolina Smokies an easy three-hour drive from Atlanta. Nestled in the heart of Maggie Valley, on Haywood County’s northern side, you’ll find Cataloochee Ski Area, which boasts one of—if not the—earliest-opening ski resorts in the Southeast. Mixing natural and manmade snow, Cataloochee Ski Area typically opens in November and closes in March. Follow current conditions on their webcam, and take note: the smaller crowds on weekdays offer a more exclusive ski experience. Glide down 18 slopes and trails that include a mix of advanced, intermediate, and beginner options. If you don’t have your own equipment—or can’t bring it on your trip—you can rent gear on site or at nearby local shops. Newbies (or maybe those who are a little rusty) can consider taking one of the 90-minute small group lessons taught by local instructors. Afterward, head to the summit on one of three chair lifts or two carpet lifts, the latter of which resembles a ground-level conveyor belt. Just down the mountain, carpet lifts also take you to the top of Tube World, where from mid-December through early March your admission grants you access to nearly two hours of sledding on inflatable inner tubes. (Keep in mind, all sliders must be 42 inches or taller.) Those coming up short can play at the adjacent Wee Bowl, which offers a reduced admission, smaller tubes, and a gentler slope. During your visit, there are plenty of places you can call home, from comfortable and convenient hotels and motels (where you can get an exclusive insider’s look at the county from longtime, local owners), to scenic cabin rentals nestled along the mountainsides. 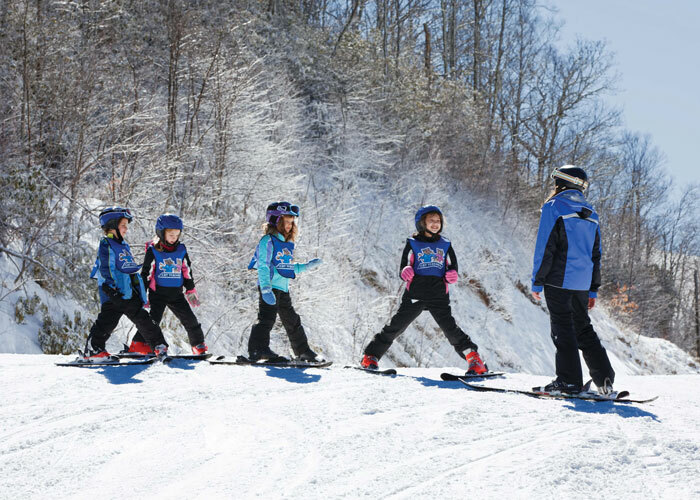 With a wide variety of accommodations available, it’s easy to find one that fits your group and budget, especially if you take advantage of specials like Cataloochee’s Kids Ski Free/Stay Free program: for every paying adult at Cataloochee Ski Resort, a child 17 or younger can stay for free at a participating lodging. Winter hiking is a great way to experience a unique, and often more peaceful, take on the scenic vistas and breathtaking waterfalls along many of Haywood County’s local trails, even with the extra preparation and planning it may demand. Try Mount Sterling’s rigorous six miles, which include climbing a 60-foot-tall fire tower for panoramic views, or try Sam’s Summit Trails in the Shining Rock Wilderness, which is full of beautiful landscapes shaped by time and ecological events. Rather than a single trail, this hike entails many trails that combined create a loop, so grab a custom map online or at the Visitor’s Center to help find your way. While you’re hiking, plan to take advantage of the trails in Great Smoky Mountains National Park’s Cataloochee Valley. Some paths lead to one of the county’s best collections of late 19th– and early 20th-century log buildings, including barns, churches, mills, and the Palmer House. This self-guided tour offers history lessons on the surrounding structures and provides recorded interviews with the people who lived here before the area became a park. You won’t feel left out if you’d rather watch the snow from a place that’s warm. 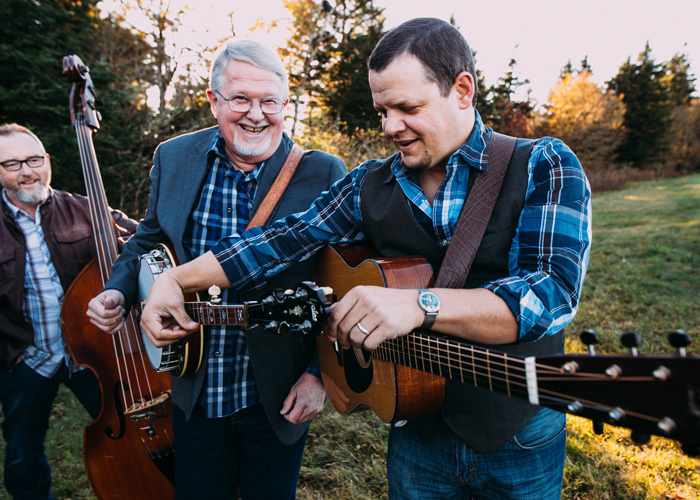 Balsam Range, Haywood’s homegrown bluegrass band, hosts its Art of Music Festival from November 29 to December 1. It kicks off with performances by Terry Baucom’s Dukes of Drive at Canton’s Colonial Theater and Monogram in Waynesville. For a year-round option, Canton Recreation Center hosts the weekly Pickin’ in the Armory, where there’s clogging and local bands performing authentic Appalachian music with no cover charge. Follow Maggie Valley’s main drag and you’ll find Elevated Mountain Distilling Co. It’s owned by Sue Angel and her husband, Dave, a lifelong local with plenty of stories—like how he learned to make whiskey at age 14. 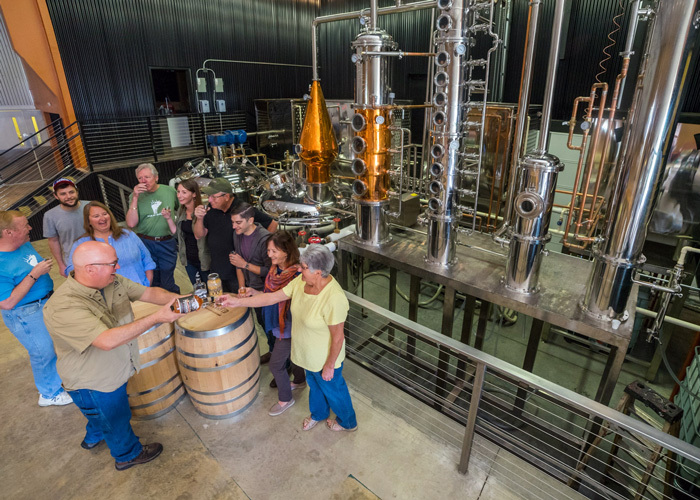 Take their behind-the-scenes tour to hear all of the best tales, then stick around to get tastes of corn whiskey, smooth vodka, and peach pie or root beer flavored moonshine. If craft beer is more to your liking, enjoy live music and local brews at Frog Level Brewing. Veteran-owned, it was Haywood County’s first craft brewery and now produces more than 700 barrels annually. BearWaters Brewing Co., located on the Pigeon River in Canton, offers plenty of seating for its live music performances and a rotating selection of craft beers, with some of the proceeds going to local charities. Looking to relax? Head to The Classic Wineseller on Friday and Saturday evenings, when the downtown Waynesville wine store opens its restaurant to serve the sounds of live jazz, piano, or guitar. The store—whose inventory of more than 12,000 bottles includes beers, champagne, and dessert wines—is open every day but Sundays. There’s more food, drink, and sights at Waynesville Gallery Association’s Winter Arts Smokies Style, a charity benefit scheduled for several evenings during the first part of 2019. It’s a winter take on the monthly Art After Dark events, when galleries stay open later.